The first 13 months and 87 pages of this thread took place before final production units were released in October 2018. Click this link to skip all the pre-production talk and get right to the introductory post from ghostvapesofficial with the launch of the Stealth MV-1 and discussion about the current production model. The MV1 has been designed and engineered entirely from the ground up using only custom designed, tooled and manufactured components. The use of medical grade materials and proprietary technology have resulted in a product that delivers a truly revolutionary vaping experience. The MV1 distributes heat evenly thanks to an innovative diffuser. This means no charring of material and no need to stir in-between vapes. The even distribution of heat also provides excellence in purity for the duration of every session, retaining all the flavors of your favorite herbs, with zero taste distortion. With the GHOST MV1 you will actually taste what you smell. Thanks to its advanced patented Heat Exchanger, The MV1 can go from a standing start to your selected temperature in a matter of seconds while holding it there precisely for the longest of vapes. 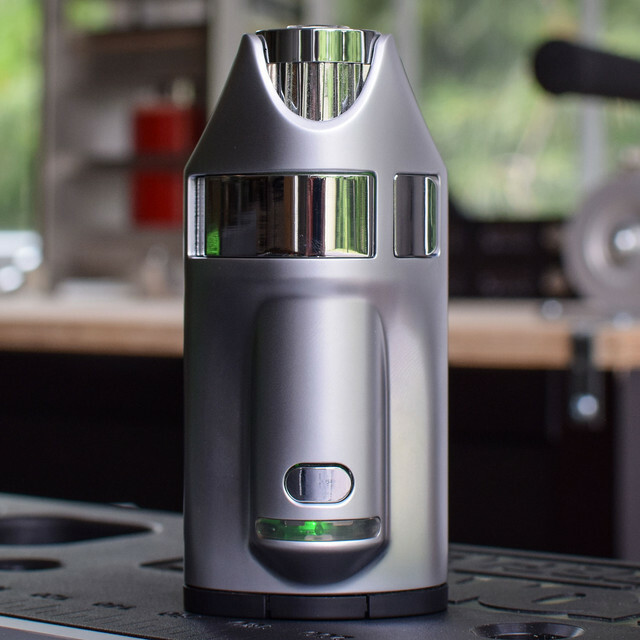 This On-Demand technology ensures that the removable crucible remains cool between vapes, preventing material degradation and allowing for multiple sessions. 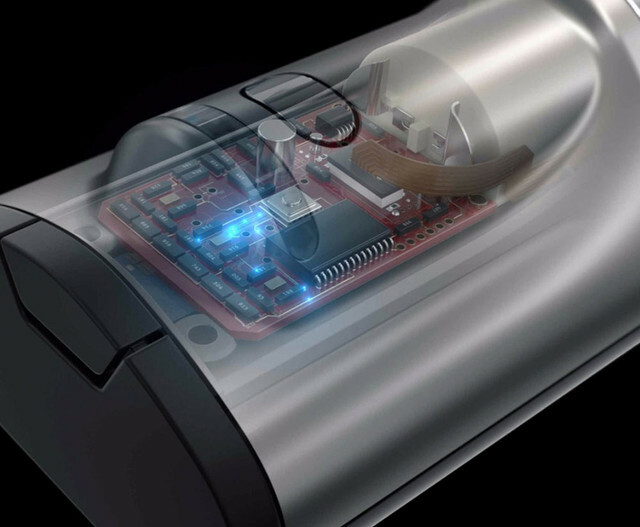 The high capacity removable battery pack provides massive power, safely and efficiently thanks to its own dedicated circuit board. The exclusive use of medical and food grade materials, combined with true convection and our proprietary heat sink, delivers cool vapor of the highest purity every session. The MV1's design is truly focused on user enjoyment and comfort. Ergonomically designed to nestle comfortably within your hand, our lightweight alloy chassis, available in multiple finishes, combined with the tactile outer casing, soft touch activation button and haptic feedback allows for a pleasurable experience with real ease of use. 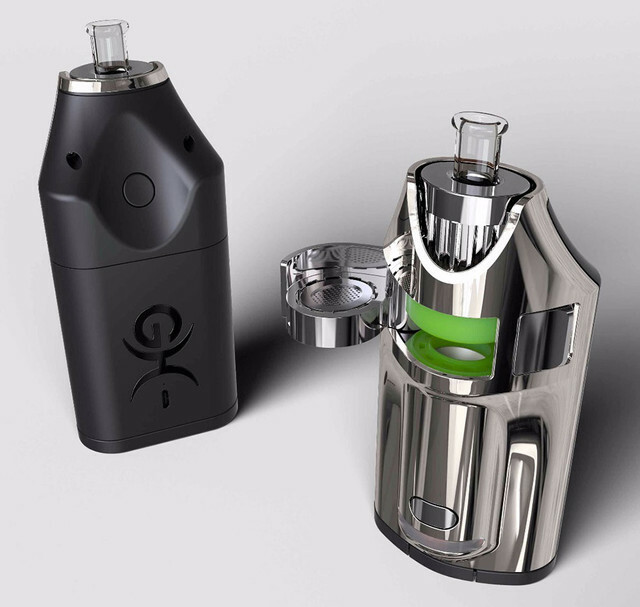 The MV1 comes with 4 default temperature settings on the device (3 settings for herb and 1 for concentrates/ extracts). 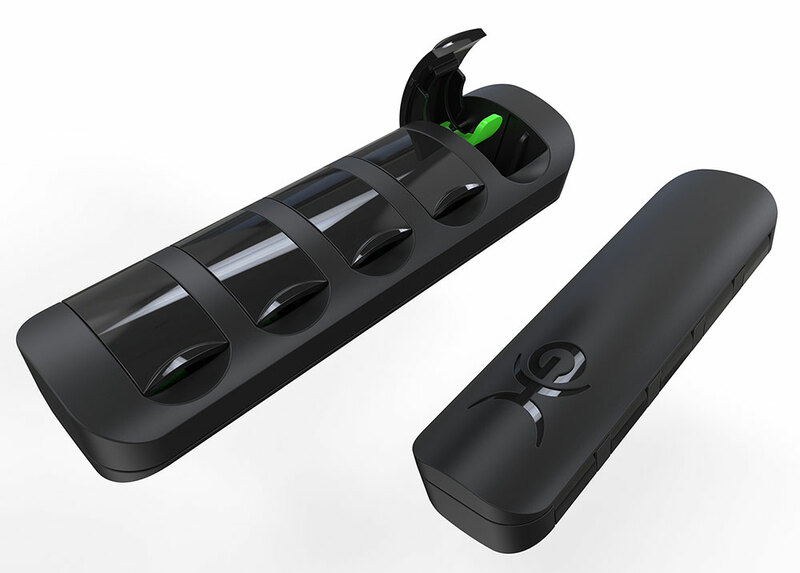 But with the GHOST app you'll open up the additional temperature controls to enhance and tailor your vaping experience. 2 favorite settings allow full control and flexibility of temperature for both herbs and concentrates. Change the temperature in between vapes and then save your ideal settings. Secure your device from the App in the event that you misplace, leave it behind or lose it and you can't track it down with the 'Find My Vape' feature. Just log into your account to lock or unlock the device, safe in the knowledge that no-one will be able to use your MV1 without your say-so. - 2-year base warranty through the manufacturer extended to a 5-year warranty when you download the App and register your vape. Full warranty details are available on the Ghost Vapes website. - Accessories kit which includes a second crucible and lid, a stainless mesh concentrate pad, 3 cleaning picks and cotton swabs, and 3 iso wipes. OMEiAM, IAmKrazy2, Trypsy Summers and 16 others like this. Those who pre-reserved a unit before launch have started to receive their vapes and Ghost will be opening up their site for new orders very shortly. I really appreciate being welcomed to post here again guys, thank you. I can completely understand and empathize with any skepticism about me and the scenario with Ghost, I'd feel the same way if the roles were reversed. For what my word is worth I truly had all our best interests at heart by making damn sure they produced the best vape they could before coming to market, and anything I thought you wouldn't like I petitioned them to change (some got done, some didn't, but I pushed hard). 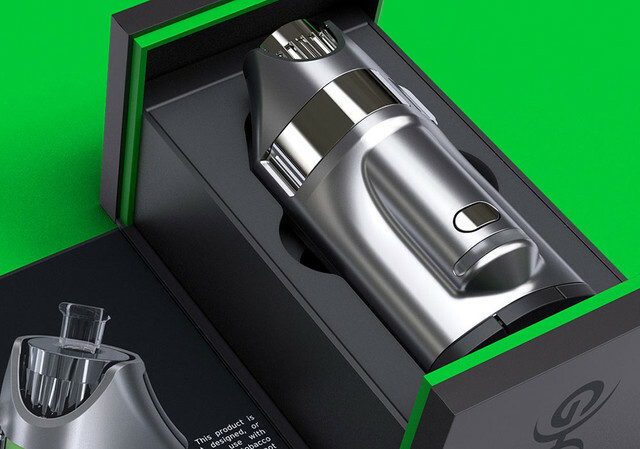 One of the biggest things I think you guys will be impressed with is the vapor quality and potency of this one, and that's really what takes this vape up a level in my opinion. However, getting across how strong a vape is in a video is a very difficult thing to do. I wouldn't say it if I didn't mean it, but your opinions are ultimately what matters most, so I sincerely hope you agree if you try it. robvancity375, Trypsy Summers, headdoctor and 36 others like this. It's on the charger guys!!! At 930 tonight hopefully I can enjoy the first use!!! First impression is that it's much smaller than I imagined but also much heavier. The weight immediately makes you feel like you are holding a quality device. Packaging was "appleesque" and seems well thoughtout. Pulling out the glass mouthpiece is not smooth and I almost felt like I was scratching it. I'm pretty sure I'll get use to the glass and ceramic and it may smooth out over time. Not much more I can report other than the crucible. I fumbled with it and I was not smooth putting it in. I'm sure over time muscle memory will kick in bit for now it's a bit awkward for me. I'm impressed so far with the service, packaging, and overall quality feel of the device. I will chime in once it is charged and I am able to enjoy a session. In the meantime I'll be ISO cleaning the heat sink, crucible and mp so everything is nice and clean for tonight. Hogni, MoltenTiger, The Beagle and 16 others like this. Awesome, getting the crucible in an out will take a little patience but I think you'll find it doesn't take long to get the hang of it. When pulling out the mouthpiece stem that noise you are hearing is the glass rubbing against the silicone o-ring, if it's making noise you can lightly moisten or lube it to make it quiet. skyvaper, CbdLife, ShayWhiteGrow and 4 others like this. 9:30?? In what timezone? How long do we have to wait for this?!?!?! Oh, and best of luck. Vaporcussion, skyvaper and StormyPinkness like this. @VCBud Welcome back to FC, good to have you here fella. @ChooChooCharlie can't wait to see what your first impressions of use are. Hogni, FabulatorPoeta, MoltenTiger and 9 others like this. Thanks for the tip. I play the drums too so I'm use to having something feel awkward until muscle memory kicks in. Do you think 8 hours is enough as the "overnight" charge or is it more close to 12 hours? That's after the "overnight" charge of what I take as 8 hours. Est is my vape zone. MoltenTiger, VCBud, StormyPinkness and 1 other person like this. 8 hours is plenty if you're charging over USB, but with the fast charger it should do it in about ~2-2.5 hours, you got one of those too right? It's OK to use the fast charger for your initial full charge I checked with them. MoltenTiger, Krahl, Mr. Me2 and 2 others like this. Oh man I put it on the micro usb for initial charge. I thought the first time should be long and slow and afterwards the fast charger was good to use. Oh well. Once I get home I'll switch to the fast charger. Thanks again for that @VCBud. VCBud, StormyPinkness and GreenHopper like this. Just curious what the charging currents from each of the chargers is? Assume the USB is somewhere between 0.5amps - 1.5amps. VCBud, CbdLife and StormyPinkness like this. In the second picture, the green parts are silicone right? If true how can they claim "- No plastics or electronics in vapor path" ? If it's the case it reminds me the Ascent where I was fooled into believing their "all glass vapor path" where in reality it's all glass, tons of silicone and some exposed plastic. pittiserria, SpudBob, WakeAndVape and 13 others like this. You probably dont want to do that now that you have already started charging it. Its typically best to not interupt or cut short the first charge on new batteries. MoltenTiger, VCBud, grokit and 5 others like this. Thanks for the tip. Looks like my timeline will remain the same. I think its safe to watch this thread again and see some reviews. VCBud, grokit, The Beagle and 4 others like this. Vaporcussion, skyvaper, duff and 1 other person like this. That being said, is unauthorized use of vapes really a problem? Maybe it's just the crowds I hang out with but I've never heard anyone, even in the back of their minds, wish for such a feature. Also, if someone gets access to the password/app/account, can they brick the vape? arb, Hogni, blacksilversurfer and 15 others like this. Welcome back and glad to see you back on the forum here Bud! Really look forward to hearing what you and the other members who get one of these have to say. I haven't put an order out yet but have been paying close attention to this one and if it turns out to hit as nice as I hear I can't imagine holding off my purchase on this for much longer. slick66, VCBud, CbdLife and 3 others like this. Hey Bud, glad everything worked out and u are reinstated. Look forward to hearing all the new owners' comments in a few hours. YaMon, graydeh1, VCBud and 3 others like this. @OldNewbie, you don't have to install the app to get a fully functional vape or the extended 5 year warranty, for which you can register online for in the 1st 90 days. The only additional features that I know of to-date that you won't have access to are firmware updates, the ability to change 2 of the higher heat setting to your custom preferences, locking your vape & the Refer-a-Friend option. As of now, I'm not intending to add the app. YaMon, Hogni, VCBud and 6 others like this. @Stu , et al - what happened to the thread in the pre-release section? I thought that they normally just moved the thread over to the regular section when it was released?? @VCBud - nope, its not scraping against the silicone in the heat sink. The glass MP is scraping on the ceramic in the heat sink and Ghost has acknowledged that they tightened the tolerance of that opening a bit too much and will be sending out replacement parts after tooling is modified. All - As far as my two main gripes, the lid not latching and the display/controls. 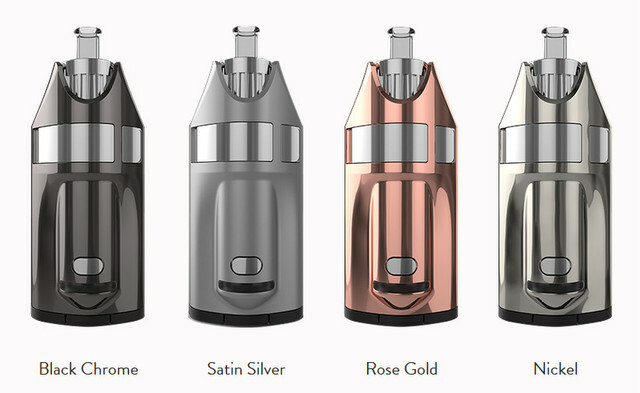 I will get used to one button/idiot lights and will be able to operate the vape without problems, but I still think that design is sub-optimum. This falls into just a preference...a difference of design philosophy, if you will. The lid not latching is, IMO, a serious issue for anybody with with dexterity issues or movement disorders. Those medical marijuana patients will not like the current design at all as will not a number of other people once they dump a load on their carpet trying to get it into the device. I understand that Ghost feels that there is a technical performance reason for the current implementation, but they need to trot that reason out to the community. IMO, it better be a REAL BIG REASON to justify the trade off of this fiddly lid design. is unauthorized use of vapes really a problem? Probably not, but what about locking it up so little johnny doesn't take it out for a spin with his playground friends? Or, if it got stolen. I too wonder how this is implemented. A simple lock over bluetooth from the app would do for the former condition and I don't think there will be so many vapes stolen to make this a very useful feature...but who knows? I share the concern about how you can lock and unlock a device from Ghost's website. Just exactly how was this implemented? Exactly what is the signalling path? Mine is charging on the fast charger right now. Package is first class and so far all of my dealing with Ghost have been excellent. Rather like these guys even though we differ on how some features/functions were implemented. Vape feels VERY solid and well built in my hand. Yes, there is silicone to seal against...I believe....the swing arm and indeed will be in the vapor path. It doesn't alarm me, personally, but we are all entitled to our own material fears and fetishes. Well, until it gets charged and I use it, that's all for now. VCBud, The Beagle, ChooChooCharlie and 10 others like this. VCBud, StormyPinkness, Jill NYC and 3 others like this. 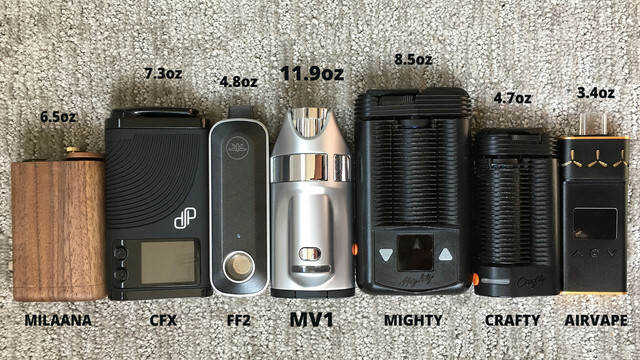 The vapes I've purchased before making my decision on apps (FF2 & IQ) both seem much better after firmware updates. Just sayin'. Now, pretend I don't install the app and someone happens to see some registration number on the vape, can they register it and brick it? That looks like a case for pre-loaded crucibles... have you tried that out yet, @VCBud ?